With the end of the year fast approaching we wanted to send you a quick update to let you know about some recent developments on the build of Harrogate Borough Council’s Civic Headquarters and what you can expect from us in the New Year. We would also like to say a big thank you to all residents who have made us feel welcome during our time at Knapping Mount so far and we look forward to continuing to be a part of your community in 2016. The site will officially close down for Christmas on Wednesday 23rd December and we will be back in action on the Monday 4th January 2016. If you have any questions or concerns about the site during this time please feel free to comment on this blog which will be monitored over the festive period. Our main focus for the last few weeks has been on the tree pruning/protection work and the demolition phase of the project, which has so far taken place at Brandreth House and the annex building. After Christmas we’ll also be making a start on the demolition of Knapping House. Working with local businesses is a major priority for us and we have worked with a number already, including Bardsey Tree Services, RGS Demolition, Harrogate Scaffolding and Browne Civil Engineering. We are also keen to develop future talent in the construction industry and have teamed up with Harrogate College for the duration of the project to offer local young people work experience and apprenticeship opportunities on this exciting build. We are continuing to update this project blog where you will find regular updates on the construction work and will also be able to ask questions and leave comments for our site team to respond to. To kick off our partnership with Harrogate College, our Safety Manager Brian Goodacre was made very welcome by the College yesterday when he delivered a Health and Safety presentation to a group of construction students. Brian’s talk covered important points about health and safety legislation, accidents, ill health stats and enforcement, providing students with a real understanding of the importance of adopting and adhering to safe working practices on a construction site. 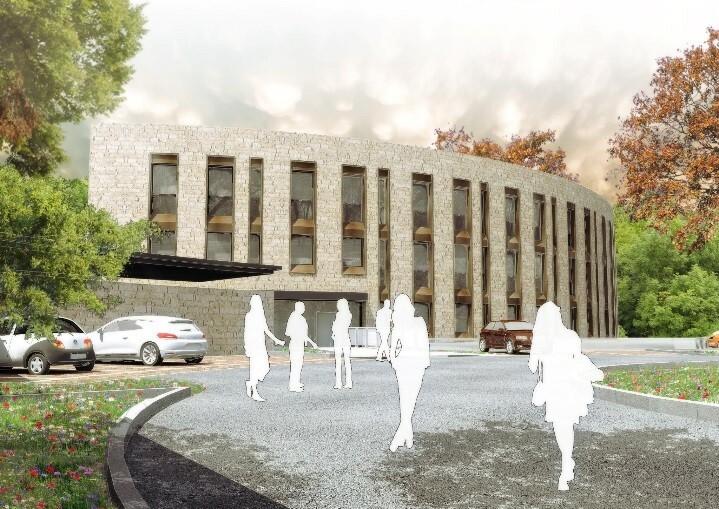 We are pleased to be working in partnership with Leeds-based architects, Farrell and Clark on the Harrogate Borough Council new civic headquarters project and we are working closely with them to ensure that we deliver the vision for the Knapping Mount site. 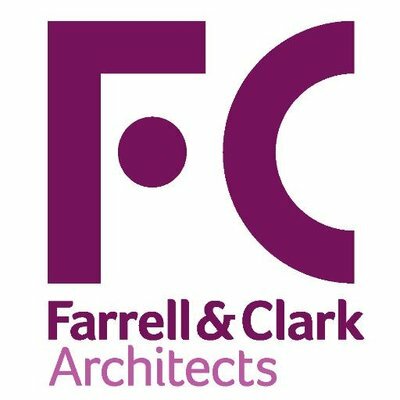 Farrell and Clark are inventive, energetic and dedicated architects, master planners and sustainable designers with studios in Leeds and London. The firm has an excellent reputation for delivering quality architecture in both public and private sector projects. The practice has been recognised for the quality of their buildings with success in many national and regional awards. David Morland, architect and partner at Farrell & Clark, explains why the firm was selected, the design vision for the final building and how it will enhance the local area for those living and working in Harrogate. What is your vision for Knapping Mount? Our main vision for Knapping Mount is to create an enjoyable and vibrant place for people to work and visit. Paramount to this vision is the concept of spaces which support modern working practices and allow the Council’s services to work cohesively on the same site. Our design of the new HQ and surrounding landscape embraces the existing attractive mature wooded parkland environment into which they are set. We have given key consideration to the wooded and grassed space with the development being designed to retain the amenity value and promote ecology and sustainability. Designed to be a highly sustainable building, Knapping Mount will contribute to building a lower-carbon world and become a building Harrogate can be proud of and identify with. How do you think the design of the building will enhance the local area? Knapping Mount has been designed with a great deal of care, consultation and attention to the local conservation area in which the building sits. The form and shape of the building are distinctive and unique whilst the scale, materials and proportion respect neighbouring structures and the wider conservation area. The design enhances the public amenity spaces, creating a network of pedestrian routes with additional woodland planting being introduced throughout, creating swathe of spring flowers in areas which are currently bare. The addition of a central courtyard links the existing formal footpaths to the West and St Luke’s Avenue. The development will provide a potential civic space to host small gatherings whilst also providing access parking. The community will benefit from a new public entrance and customer service centre, whilst retaining the existing wooded parkland and amenity grassed area to the South approach. A new central courtyard will link the informal footpaths on the West to St Luke’s Avenue. Overall the development encompasses facilities which in turn ensure the council is able to provide a better services for residents and visitors. 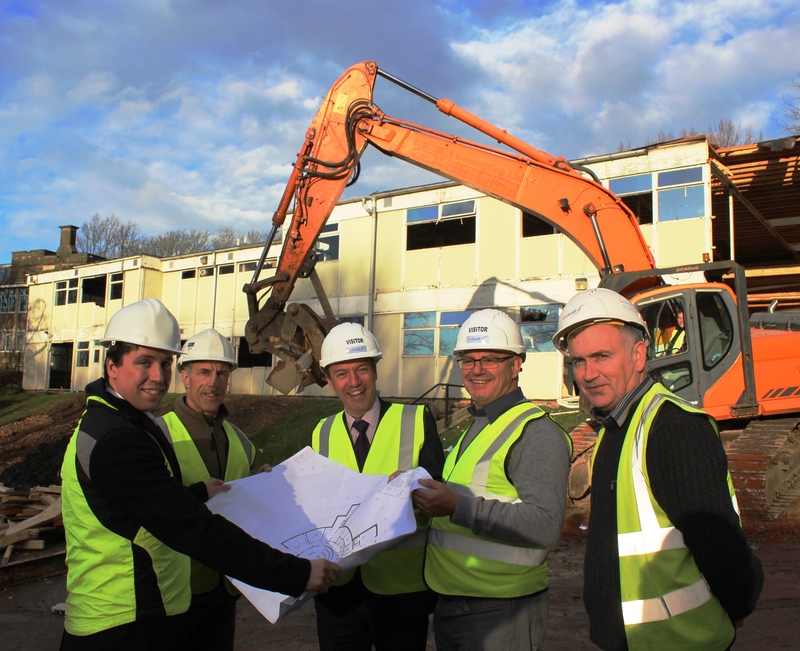 Demolition has started on Harrogate Borough Council’s old prefabricated annexe at its Knapping Mount site in Harrogate ahead of construction of its new, purpose built offices. Yorkshire based Harry Fairclough Construction is the main contractor for the project. They have been working on site since October to prepare it for the demolition of the current buildings, which is taking place between now and the end of the year. 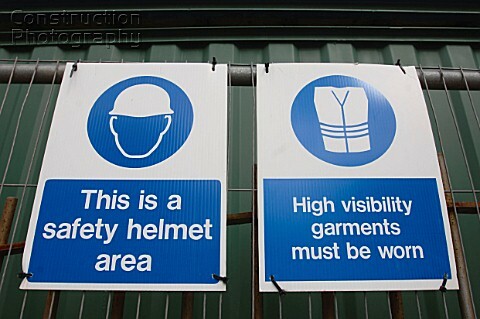 Yorkshire based RGS Demolition, is undertaking the demolition work. The company is committed to recycling, and wherever possible reclaiming materials for re-use. Construction of the new council offices will start early in 2016, with a scheduled completion date of spring 2017. The new energy efficient offices, which have been designed by Yorkshire based architects Farrell and Clark, will see council services operating from a single site rather than five separate locations. Moving to the new offices will see annual efficiency savings of around £1 million. The move will also provide a platform to drive further operating improvements in the future.The prefabricated buildings that formed the Knapping Mount annexe were erected in 1974, and were originally built to last 10 years. Now, 41 years later, they are coming down to make way for a new energy efficient, customer friendly council headquarters. Next February will see a dedicated ‘Meet the Buyer’ event taking place in Harrogate. Local businesses will have be able to meet the council, Harry Fairclough and major sub-contractors to find out more about the project, the opportunities to be involved in the project and how to bid for work packages. Subcontractors can sign up for the event here.